NHS Blood and Transplant is urging football and rugby fans from grassroots upwards to make their match day chat about organ donation as part of a national campaign to increase the number of organ donors. Over 30 Premier League, Championship and League One and Two football clubs as well as a wide range of partners - from football associations to rugby clubs - are backing the second Sign for Life campaign between the 27 February and 13 March urging fans to join the NHS Organ Donor Register and have a conversation about organ donation. 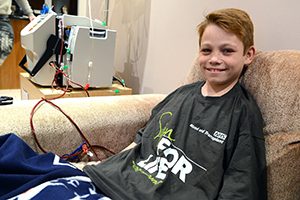 Across the UK there are around 10,000 people, adults and children, who need a transplant. A shortage of organ donors means three people a day die in need of a transplant. In 2014/2015 the number of organ donors in the UK fell for the first time in 11 years. The number of transplants also decreased from 4,655 in 2013/14 to 4,431 in 2014/15. This 5% decrease resulted in 224 fewer people receiving an organ transplant. "Football and rugby inspire incredible passion and it is well known the games prompt great debate. With support from clubs and players we hope to spark some half-time conversations about something which could so easily touch any and all of our lives. "To save more lives through organ donation we need it to be a subject that we all talk about, in everyday conversation. We need more people to join the NHS Organ Donor Register and to tell their families they want to be an organ donor. “I’m proud to be supporting Sign for Life a second time round. It is shocking to think that people across the UK are dying because not enough people have thought about if they would like to donate their organs after they have died. “Football fans are some of the most passionate sports fans in the country and if they all joined the Organ Donor Register then more people could receive a life saving transplant. Teams across the country have pledged their support for the Sign for Life campaign. Manchester City FC, Stoke City FC, Newcastle United FC, Queens Park Rangers FC, Portsmouth FC, Sheffield Wednesday FC, Bolton Wanderers FC, Dagenham and Redbridge FC and Wycombe Wanderers FC are just some of the football teams onboard this year”*. Each club will be supporting the campaign in different ways. For example at Bolton, Wycombe and QPR on Saturday 27 Feb, a team of people will be on hand at each match to answer questions fans may have about organ donation and assist people who want to join the register. Other clubs have donated space in their matchday programmes or stadium screens for an advert, as well as features on club websites and social media pages. Getting involved with the campaign is simple. To join the NHS Organ Donor Register, visit www.organdonation.nhs.uk/signforlife or call 0300 123 23 23. Let your friends and family know when you have signed the Organ Donor Register and join the conversation online by using the campaign hash tag #signforlife. For additional information please contact the NHS Blood and Transplant Press Office on 01923 367600. Sign for Life is in its second year. All club activity will be taking place around matches between Friday 27th February and Sunday 13th March.